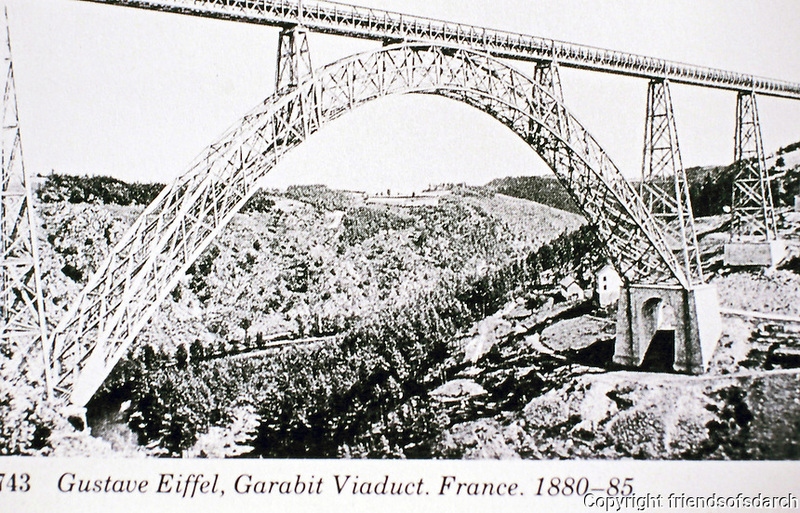 Garabit Viaduct is a railway arch bridge spanning the River Truyère in the mountainous Massif Central Region. Designed by Engineer Gustave Eiffel, 1880-85. Cantal, France. use of truss rather than solid beams.